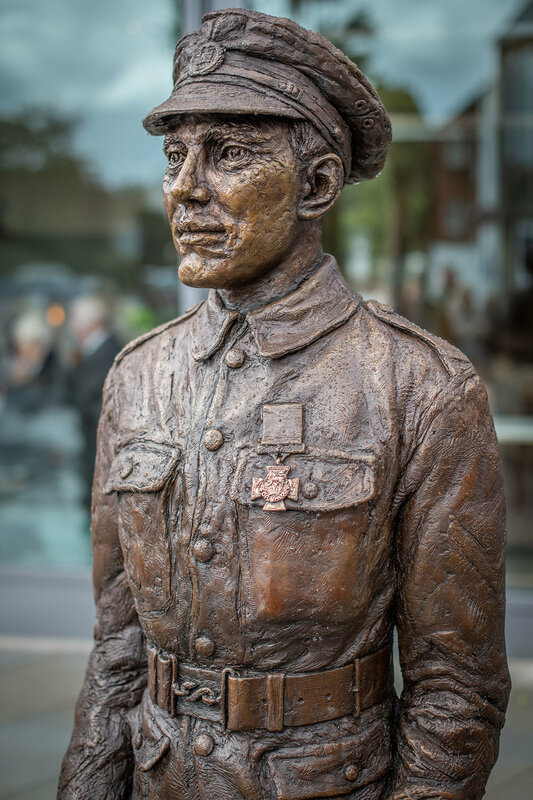 Last week I was booked to cover the commemoration ceremony to honour Lance Corporal Allan Leonard Lewis VC, who was awarded the Victoria Cross for his acts of bravery during WW1. 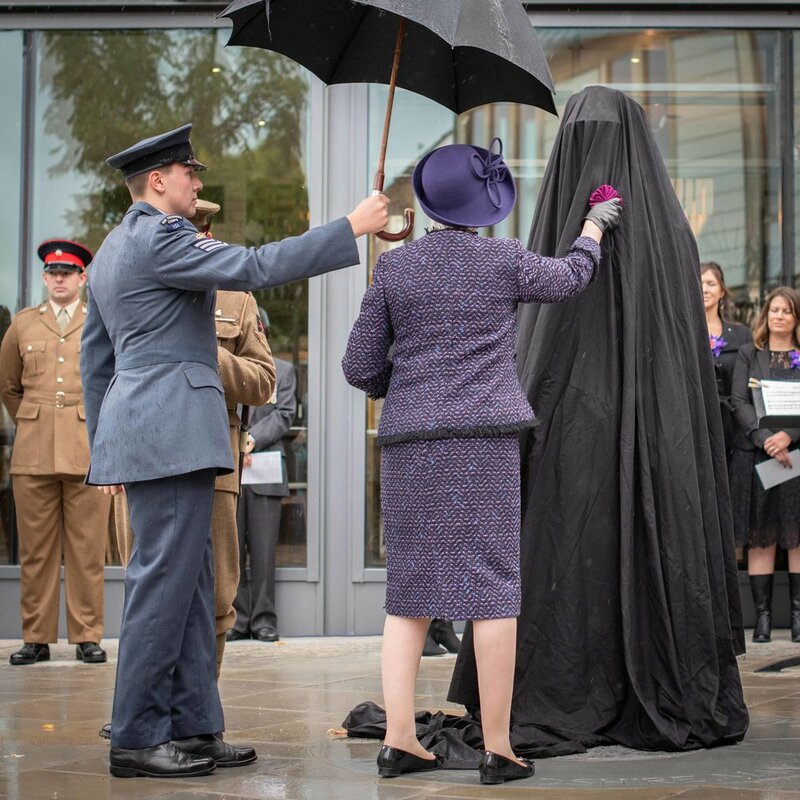 The ceremony marked the Centenary of this special event with the unveiling of a statue in his honour along with a very poignant service. There was a big turnout as members of the public lined the streets and soldiers performed the guard of honour. The gorgeous sunshine didn’t last long, but despite the deluge of rain, (I don't think I've ever got quite so drenched on a shoot!) men, women and children stood united to remember and celebrate the achievements of this remarkable soldier.